It's not often one will see a group of break-dancers at a Sasquatch set, but the Budos Band isn't a typical group. The ensemble have a diverse charging sound, filled with bold zaps of brass and rhythmic bass riffs, which gives them a style all their own. The Staten Island nine-piece look like a motley crew on stage, and made a call for another round of beers more than once. Bassist Daniel Foder wandered the stage weaving in and out of his band mates, as if he was the heartbeat of the machine. The band opened with "Into the Fog," from their latest album Burnt Offering. They moved through the title track and later played "Tomahawk," easily the most delicately rhythmic song on the record. 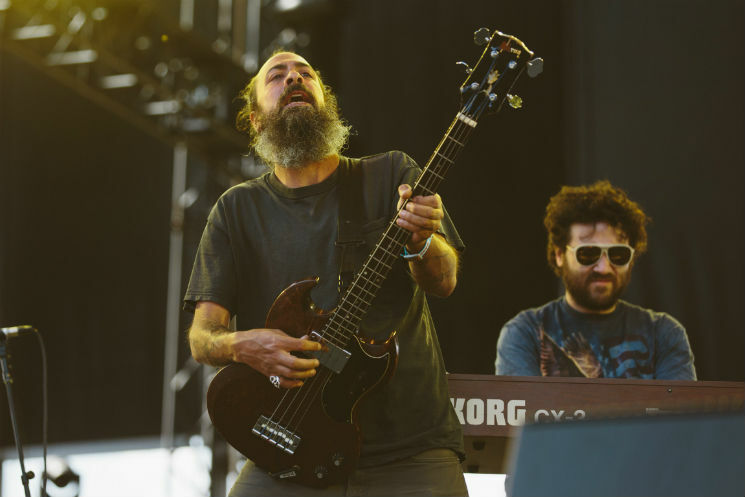 The Budos Band eased the early afternoon crowd into day two of the festival. They delighted in delivering their rambling but coordinated songs, and really showed their maturity as a live act.